Deliciousness!! 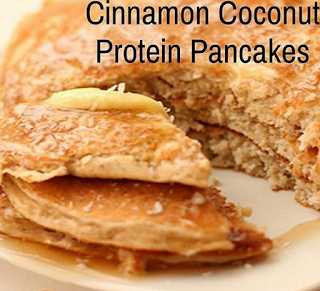 Pancakes + protein = Heaven! 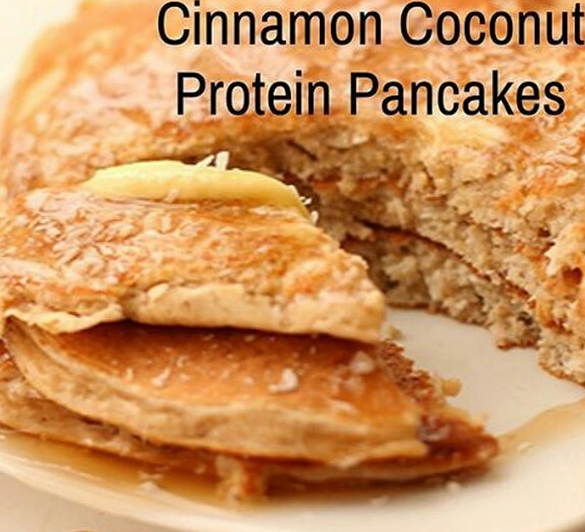 Spray a nonstick pan with coconut flour or non stick spray (coconut or olive oil). Turn your heat to medium/high. Once the pan is sizzling hot, pour your batter on it. Then turn the heat back to medium/low to make sure the pancakes cook through without burning. Flip once bubbles start to appear on the pancake's surface then flip again!